One of the best things about this product is that it’s used like common grains (such as wheat and rye) though it is not actually a grain at all. This means it’s gluten free. 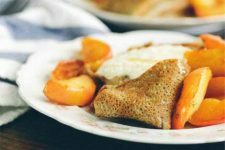 But keep in mind that it could potentially be processed in centers that also process wheat and other gluten-containing cereal crops. Amaranth belongs to the pseudo-cereal group. Other foods of this group are quinoa and buckwheat, which are gluten free as well. When the plant is in full bloom, you can marvel at the wonderful vibrant red, orange, and yellow shades of the flowers. The seeds look similar to millet, with a subtle nutty flavor. 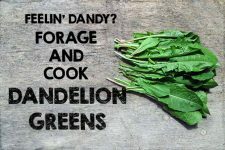 Not only does it make a nice addition to a variety of recipes, it offers tremendous health benefits and lots of additional positive features as well. Are you keeping an eye on your carbohydrate intake? Compared with other regular cereals, amaranth ranks low in carb content, but it is rich in fiber. 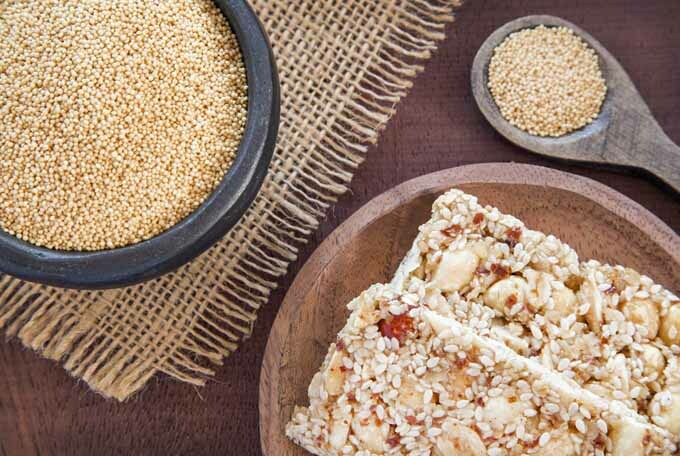 Although it will never replace wheat in baked goods (there is really no replacement for the stickiness of gluten), a small portion may be replaced with some amaranth seed to add fiber. Additionally, its high magnesium, calcium, and iron content stand out. It is easily digestible, an adequate substitute for people with wheat intolerance or allergies. 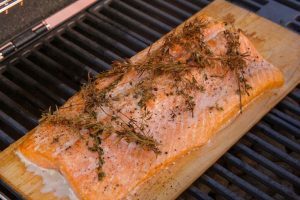 Approximately 70% of the fats are unsaturated, including omega-3 and omega-6 fatty acids. This is important because both of these essential acids have to be consumed in your food, as the body can’t produce them itself. 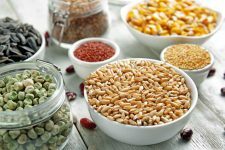 Here are two of the most common and practical suggestions for you to include these small grains in your recipes. These are basic ideas that can be adjusted to your personal cooking or baking routine. Are you curious about trying a new kind of popcorn? 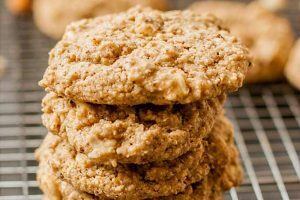 Then it’s time to prepare this quick and easy treat! Cover a dry pan with a lid and heat it up thoroughly. When hot, add some seeds and immediately remove the pan from the stove. Stir a bit and you’ll see them start to pop. They won’t be as big as popcorn, but they’re really nice. Add them to stir fries, desserts, or baked goods. 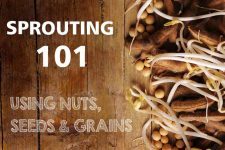 They also make a delightfully nutty and novel ingredient to add to your breakfast granola. When cooking the seeds, you will need to add triple the amount of water for them to soak up. Add amaranth and water to a pot and bring to a boil. Cover and leave to simmer on low heat for about 20 minutes. Take off the stove to sit for approximately 15 to 20 minutes. Soaked seeds work great in variety of salads. For a savory version, choose chicken or vegetable stock instead of water, or use milk for a sweeter taste. 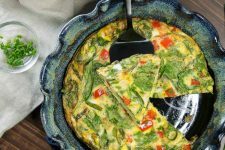 Serve as a side dish, flavored with herbs or spices, or as a porridge replacement for breakfast. Tip: Add some grains into your boiling stew or soup to thicken the dish. Here at Foodal, we love the quality of Bob’s Red Mill products. If you can’t find it in your local stores, then you can try Amazon for the whole grain variety. If you’d like to try your hand at baking with it rather than soaking, then it’s also available in a flour form. Keep the seeds in a dry container, away from direct light and heat. They can be stored this way for up to two months. What about you? 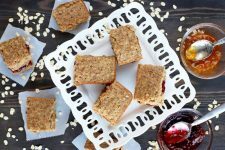 Do you have any plans to use this spectacular gluten-free grain in any of your baking or cooking? If so, let us and the other readers know in the comments below! 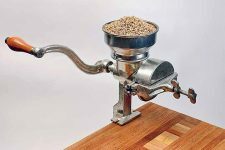 If you want to try grinding your own nutritious and delicious whole grains into flour yourself, start with our Complete Guide to Countertop Grain Mills. 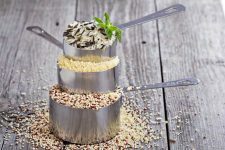 And don’t forget to read about more alternative grain flours and our in-depth review of the best grains for grinding at home, as well as our intro to gluten-free cooking. Originally published October 28th, 2015. Updated and revised October 19th, 2017. Photos via Shutterstock. All other content © Foodal / Ask the Experts, LLC. ALL RIGHTS RESERVED. See our TOS for more details. Uncredited photos: Shutterstock. I swear, every time I visit this site I learn something new from you guys. I had never heard of Amaranth until today. It’s incredible and looks beautiful. Not only did you guys introduce us to a new super food, but gave us recipes for it as well! My hats off to you. I’m definitely making Amaranth a must in my next trip to the grocery store. I’m so excited to try it! Thank you, we are glad to hear that you enjoy each of your visits here 🙂 Enjoy cooking with Amaranth, it is really nice to use in alternation with regular grains as it brings some new flavor and texture into the kitchen. I hope you can find it in the store. Hi Nina-Kristin. I hope you are well. Hey I had a quick question. 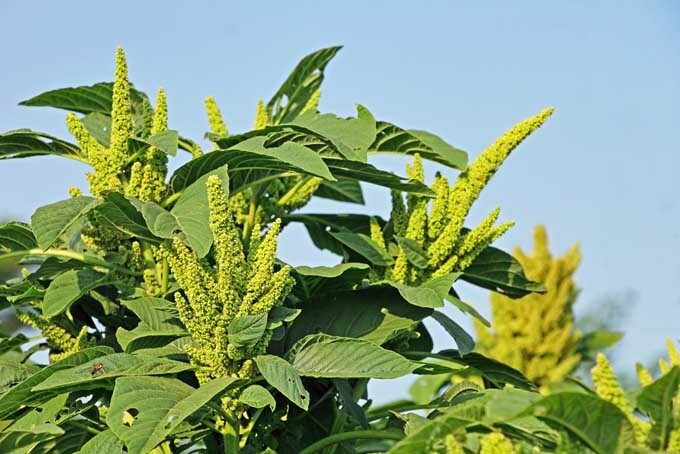 To the best of your knowledge is it safe to purchase Amaranth online? I’m having a hard time finding it in my city. I tried supermarkets and natural food products stores and nothing yet. This is really something I want to try, so I thought that maybe I could find it online. Do you know if Amaranth can go for long periods of time without going bad? Thank you. Thanks MichelleVL, sure, I think I can help you. What a pity that you can’t find it in your city. If you have a look above at the article again, you’ll find one product of “Bob’s Red Mill” that is available online. I hope this could be a way for you to order it. Hope to have helped you out! Yeah I’ve never heard of it either. My wife is going to be surprised when I bring up this because we’ve been looking for something similar since she has a problem with some gluten-containing products. It’s great to hear that I could show you an alternative. I hope you can get amaranth somewhere and try it out with different recipes. It is really helpful when one is trying to avoid gluten-containing grains where possible. Definitely agree with you! 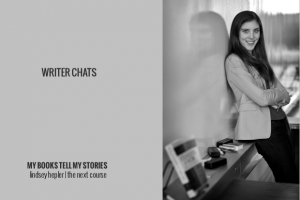 Foodal writers are wonderful and go out of their way to introduce us to new and interesting ingredients we could use. 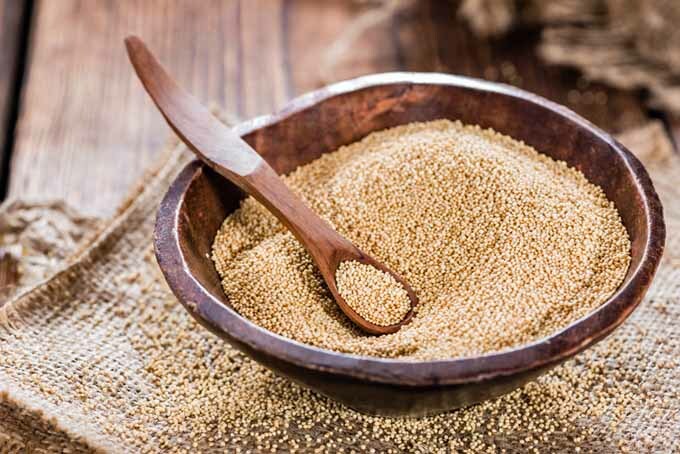 I don’t have Celiac’s nor am I allergic to anything but Amaranth is something I’m going to pick up some Amaranth and try out the recipes stated as its so healthy and I wouldn’t ever have known about Amaranth without this article. I like that you will try it, although you are not allergic. Where I live, many people don’t pay attention to products that have the “gluten-free”-label, because they don’t think these products could have even health benefits for them. So I hope you enjoy amaranth in your kitchen! I’ve heard Amaranth is good for hypertension, however, I didn’t quite know how to incorporate it into my cooking. 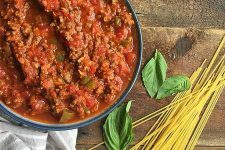 Thanks for sharing the recipes and tips. Can’t wait to try them out and see the reaction from my family! That’s right, this is one of the benefits, too. 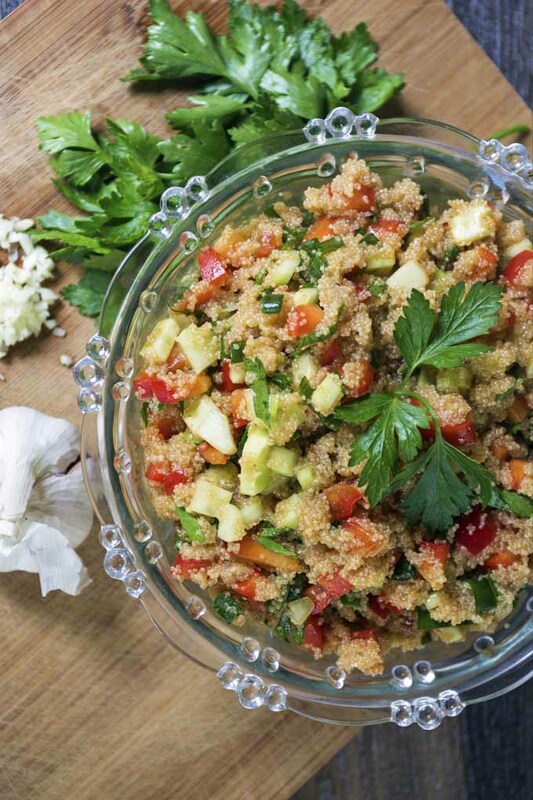 Have you already tried an amaranth-recipe? I hope it turned out well and you and your family enjoyed it. 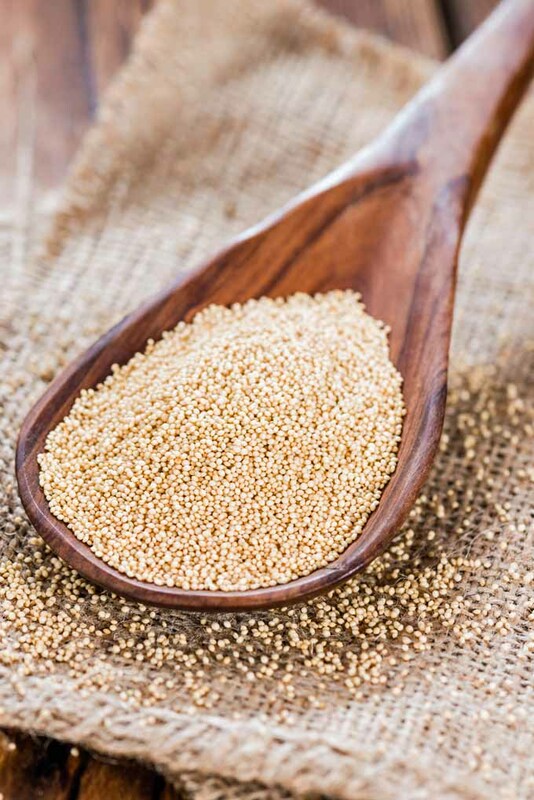 I had never heard of Amaranth either, but it seems like an issue if people are allergic to grains, as it would cause an autoimmune response, or problems for people who are gluten sensitive or have full blown celiac. After reading some research on it, it seems like almost the perfect food for non gluten applications, I wonder why it’s not more popular? Totally, it is such a great alternative to wheat and gluten containing grains. 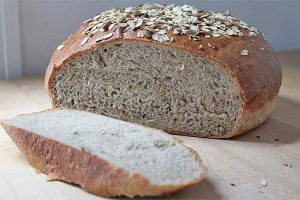 Here in Germany, it has become quite popular in wholefood stores and organic bakeries. 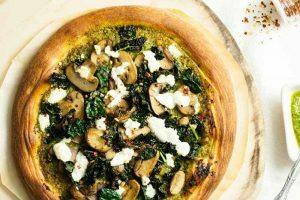 Although many people don’t seem to buy it, because they think it’s only useful for people suffering from allergies, but I think it can be a perfect addition to everyone’s menu, whether they are gluten sensitive or not. Amaranth is a completely new one on me. It sounds like an excellent addition to the store cupboard to add variety. We eat quite a lot of pulses and grains so another is always welcome. I particularly like the idea of popping it and making granola bars. 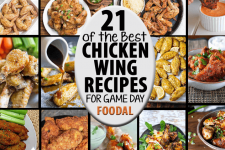 Another recipe in the book! It definitely is a nice addition and helps you to vary your grains, as you pointed out. I think it’s perfect to have a range to choose from so one doesn’t eat the same every day. This helps one to get creative and stay healthy, and that’s a great combination! I was just in Peru and really, really loved the granola they served there. I’m just discovering it was “pop amaranth!” I actually asked what it was but they have a different name for it so I thought I would never have it again, but this post just made me realize I can make my own Inca granola. To anyone reading this, you have to believe me, it really tastes awesome with granola, it gives a whole new texture and sense to it, you’ll really love it. Thank you for sharing this! What a funny coincidence, and great, that you now know how you can use at home, too. It really is an awesome alternative and additions, right? Thanks again and enjoy amaranth further on! 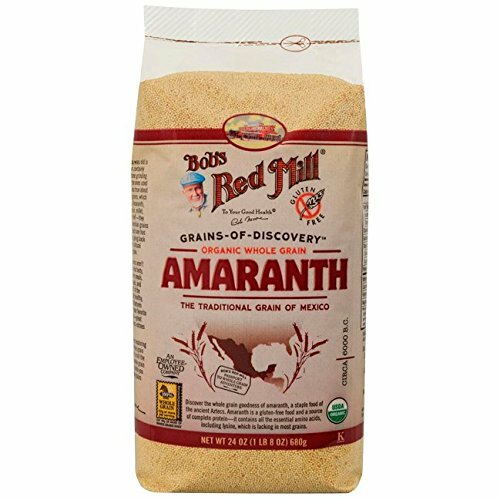 I have celiac disease and have heard of amaranth, but have not used this grain before. I use a lot of rice, cornstarch, potato, tapioca, coconut, and sorghum flour. I always enjoy learning about different options for a gluten free diet. I will definitely try using this flour. It is great knowing that it has so many omega 3’s and omega 6’s. You can add me to the group who had never heard of amaranth before reading this. I had no clue this even existed. I’ll have to try it, knowing that I like quinoa, I wonder how similar they are in taste and texture. None of my family is gluten intolerant, though, so it might be an uphill battle to get this particular item in our pantry. 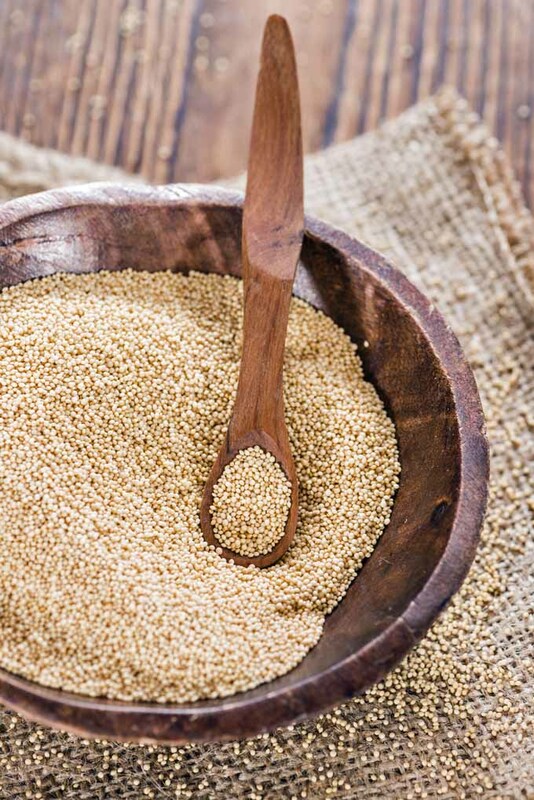 If you already know and like quinoa, I’m sure you’ll enjoy amaranth, as well. 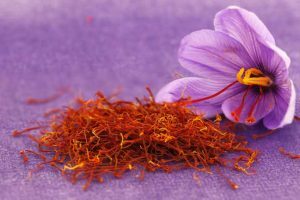 Both have some similarities, so it’s great that this article could help you discover a new alternative. 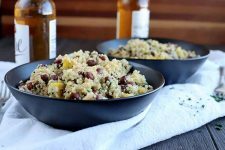 Maybe you can convince your family with the nutty flavor and the versatility, or you just pretend it’s couscous (it has got a bit of its look 😉 ) Anyway, I hope you’ll find it somewhere and can try it out! I am been gluten free ever since my mother was diagnosed with Celiac disease, I started having symptoms since I was very young and now they make sense. For me it has been very hard cooking and just eating in general with all that’s around me so I am so glad that I have found this alternative to a lot of different things. But for some gluten intolerants, there are these pills called Gluten Defense that help digest hidden gluten and dairy or maybe when you just REALLY craving that real cookie, you can find them at Whole Foods or on online. I see that, I also think that it’s difficult to find proper alternatives, especially when eating out in restaurants. But today this topic has become more popular and the problem is widespread, so it’s good that there are ways to make things easier. 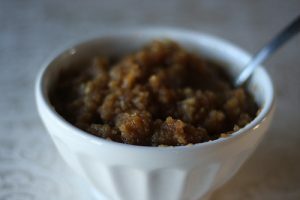 I’m a big amaranth enthusiast, and the fact that you can actually make a formal dish with it makes it so much better, I didn’t knew that it was that versatile. My mom actually uses it as a sugar substitute when it comes to her protein smoothies, and when it’s sweet amaranth it can be an excellent substitute, it kinds of adds a way more different taste than sugar does. That’s a great idea to use it. And you’re right, its flavor is very different, but I like the nutty nuances. I also like its thickening ability. 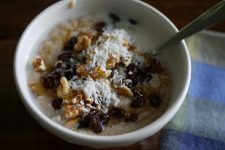 An amaranth porridge in the morning is wonderful 🙂 Great that you enjoyed the article and tips! I’ve seen this in health food stores, but I never knew how to make it. I’m amazed that it can be popped! That sounds like an interesting snack to mix with nuts or to have on its own. 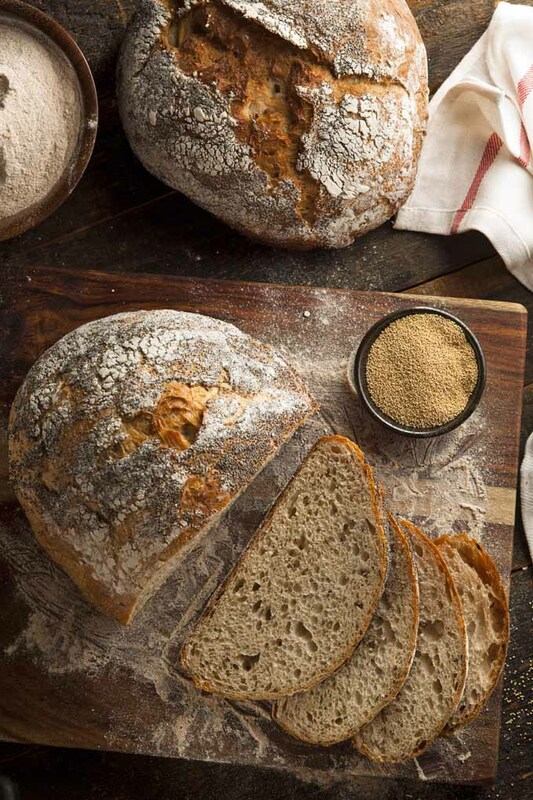 I tried amaranth bread once, but I wasn’t a fan of how dry and gritty is was. Has anyone else had amaranth bread, and is this normal, or did I just get a really icky loaf of bread?